A skill assessment is an integral part of any development process. Before anyone can determine what they should improve, they first must assess their current skill levels as they relate to performance. By first assessing your skill level, you will know where deficiencies may lie and what opportunities exist for improvement. You should begin by reviewing a list of skills and assess your level of mastery of those particular skills or competencies. After reviewing the list, list those skills or competencies that would most benefit from additional development. You may select to further develop a current strength or you may decide to address a developmental need. 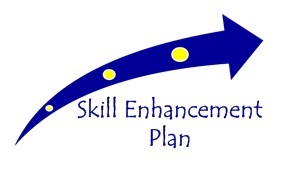 After you determine which skill(s) to address, create a written development plan (Skill Enhancement Plan) that outlines the course of action you will take to accomplish your objectives. Include the benefits of enhancing this skill. Also, indicate expected completion dates for each action or activity. By doing so, the plan will provide a clear road map for improved performance.